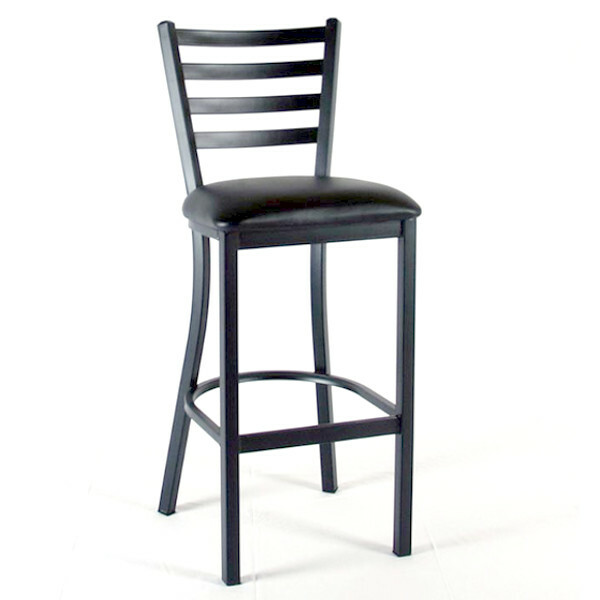 The Commercial Ladderback Bar Stool is available in a black texture finish. Has black upholstery. Fully welded stool steel frame. 16 gauge tubular steel. 1.5lbs fire foam upholstery. Electrostatic powder coat baked on finish. ABS commercial grade leg glides.